With Elba Water Sports Procchio you have the change to discover and visit all beautiful beaches around Procchio bay, with SUP, kayak, catamaran, sail boat and motor boat. Come to discover the nature around and enjoy all emotions of sailing in front of cliffs and Mediterranean vegetation. This is a unique experience, which allows you to visit hidden bays not accessible with other means, in the beauty of Tuscan Arcipelago. 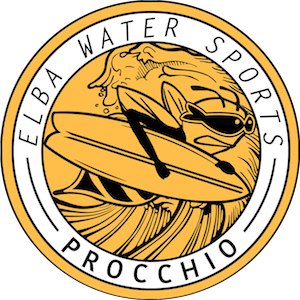 Elba Water Sports Procchio has professional instructors for the best experience during your holiday. All our staff is available for excursion on motor boat to discover beauty of Elba Island. Contact us and discover our itineraries rich in history and the wonderful natural places that only in Elba Island you can find!